All great films work as a whole. Writing that made me roll my eyes because, of course, that should go without saying, but each great film has that one moment, that scene, sequence, line of dialogue, or that single frame that makes everything click together. That moment makes something click in your brain and it makes you think "Wow. I'm watching something special." That moment can make you smile, recoil, gasp, cry, tense up, or even better, some kind of mixture of all those emotions you feel as that magical moment unravels before you. In anticipation of my final list of 2017 favorites, I've put together a list of my ten favorite moments I experienced in a movie theater this year. Some of these films sadly won't make it to my Best of 2017 List, but they're all fantastic and each one of them had a special something that hit me right in the gut in the best way possible. Now feels like a good time to say that obviously this list is going to get pretty spoilery in detailing specific scenes and events of particular movies that some may not have seen yet. Scroll down at your own risk. The Florida Project probably encapsulates how it truly feels to be a kid better than any other film this year. Sometimes as a child, you're completely oblivious to the dangers that are around you at any given moment. On a day like any other, Moonee, Scooty, and their friends frolic and play on the picnic tables outside their hotel without a care in the world. As they play, a feeble old man wanders off the street and strikes up a conversation with the children. To the kids, he seems innocent enough, but Bobby (Willem Dafoe) thankfully witnesses this scene from afar and approaches the old man, who claims he was just asking the kids if they knew where he could buy a soda. Bobby calmly puts his arm around the stranger's shoulder and coaxes him away from the kids and to a vending machine, assuring him he can get him that soda he wants so badly. After giving him the drink, Bobby's calm demeanor disappears and he slaps the drink out of the unsuspecting predator's hands as he throws him off the premises. The kids look on from the picnic tables, befuddled. The discomfort begins as soon as the stranger shows up. We know exactly what this man is looking for and we're genuinely worried of where this scene could go. When Bobby shows up, it's a relief. We're wringing our hands like we're watching a thriller as Bobby leads the man away, and we're washed with cathartic joy as he throws him out onto the street. The big key to the success of this scene is the jaw-dropping performance from Dafoe, who seamlessly transitions from cool collectedness to righteous fury. The scene makes you wish we all had a cool uncle Dafoe looking over us all. This scene is pure terror. Plenty of actors have made the transition to writer/directors in the past, but none in the last few years have done so with the intensity and confidence that Jordan Peele brought with him to this modern horror masterpiece. Jordan Peele is a born filmmaker and this scene is his proof. Each scene leading up to it are also great, but it was this moment where I realized that we were under the spell of a truly fantastic new voice. Everything about this scene is impeccable. The dialogue is some of the sharpest of any scene this year. The editing and pacing is one of pure dread. More than anything, the performances from Daniel Kaluuya and Catherine Keener are spellbinding and deserve their own personal Oscars. When Keener commands Kaluuya to "sink" I felt my own stomach sink. To be fair, I was quietly crying through the entirety of Coco, but I think I started openly weeping at this moment. At his darkest moment, when Miguel realizes that the man he was looking for wasn't the person he thought he was at all, both he and his reluctant companion Hector slowly discover that Hector was in fact the one who Miguel was looking for all along. My eyes were a water fountain. This scene solidifies Hector's character arc as quite possibly the best of any fictional character in 2017. The meeting of young George Denbrough and Pennywise The Dancing Clown is an iconic moment, solidified in pop culture by both the book by King and the original TV Miniseries starring Tim Curry. Bill Skarsgard had two very big clown shoes to fill when taking on the role of Pennywise. In fact, most people were skeptical he'd even come close to the horror of Curry's original nightmare performance. But in this scene, he smacked all those skeptical looks off all our faces as he declared there was a new Pennywise in town and he's truly a force of terror to be reckoned with. Poor Georgie, and all of us, never saw it coming. Similar to Bill Skarsgard in IT, Edgar Wright may not have sold everyone originally on just how well he'd be able to pull of a musical fairy-tale action crime caper set in the heart of Atlanta for an entire feature length film. But in that opening sequence, as Ansel Elgort swerves through the city as Bell Bottoms fills our eardrums and each edit and movement fits perfectly with the song, Wright wipes all doubt away, and we know we're in capable hands. It's a miracle this movie exists. The fact that 20th Century Fox allowed this to happen, and the fact that the filmmakers had every chance to screw things up and didn't, is something to treasure and champion. This film is a love letter to a character beloved by all. And in the end, it is also a eulogy. I had succeeded in not crying throughout the entire two hour and thirty minute movie but right when Laura makes that final personal touch to the character's grave before walking away and Johnny Cash begins to play, I was a mess. 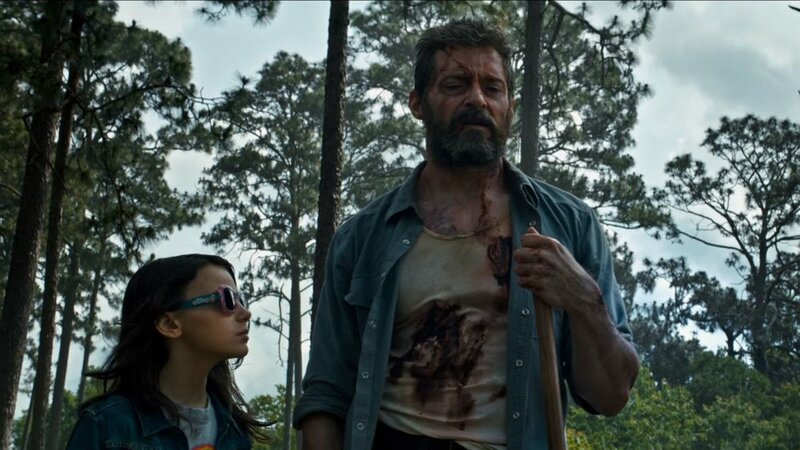 Logan could not have recieved a better send-off from the movies. Watching this movie was a religious experience. The lonely IMAX theater was my cathedral and Denis Villeneueve's hypnotic ode to a sci-fi dystopia world was the sermon that saved my soul. The powerful images and booming sounds of this film rattled me to my core in a way no other movie did this year. This experience was defined by the visceral fist fight between Gosling and Ford as holograms of Frank Sinatra and Elvis Presley dance and glitch behind them. At one moment, I thought I was having a seizure. It was the best kind of seizure I could ever have. I don't care what you think of Rian Johnson's vision of the Star Wars universe, there is one moment that is so jaw-dropping and awe-inspiring that we should all be unified in complete wonder at such a remarkable scene. The moment is so strange for a modern blockbuster that some theaters (wrongly) put up signs warning (dumb) movie-goers that there was nothing wrong with the movie they were watching when it happened. It is such an emotional triumph in every way. In a final attempt to save the Rebel Fleet from the First Order, Laura Dern's Vice Admiral Holdo turns the evacuated Rebel Carrier towards the First Order's Star Destroyer, switches on the Hyperdrive and that's when all sound cuts out and we see the absolutely gorgeous image of the ship tearing through the other like a knife. Each time I've seen this movie in theaters, when the sound goes out as the ships collide, the entire audience let out an involuntary audible gasp, floored by what they just witnessed. I feel confident in saying it may be the coolest thing to ever happen in a Star Wars movie. This film and the next film mentioned in this list are definitely the two most romantic movies of the year. Del Toro, Sally Hawkins, and Doug Jones have succeeded in the feat of creating a real and tangible love story out of something so fantastic that in the wrong hands it would be a joke or a complete disaster. The love between Elisa and the Creature is solidified during the second scene in which they're intimate together. After blocking up the crack in the door, Elisa floods her bathroom and the two of them embrace and float together in the water. After Richard Jenkins' Giles opens up the door to be greeted by a wall of water rushing past his legs, he sees standing before him, Eliza and the Creature, still in each other's arms. The look Elisa gives from over the Creature's shoulder speaks volumes. It's the happiest we've ever seen her. She's finally found someone who sees her for who she is. It's a fairy tale moment that only Guillermo Del Toro could create. There are so many incredible things going on in this movie it feels impossible to choose just one but this scene feels like the perfect encapsulation. Following a heartbreaking scene of the Ghost watching Rooney Mara's character try to move on with her life, we see a flashback of the two of them together as he shares with her a song he'd been working on. 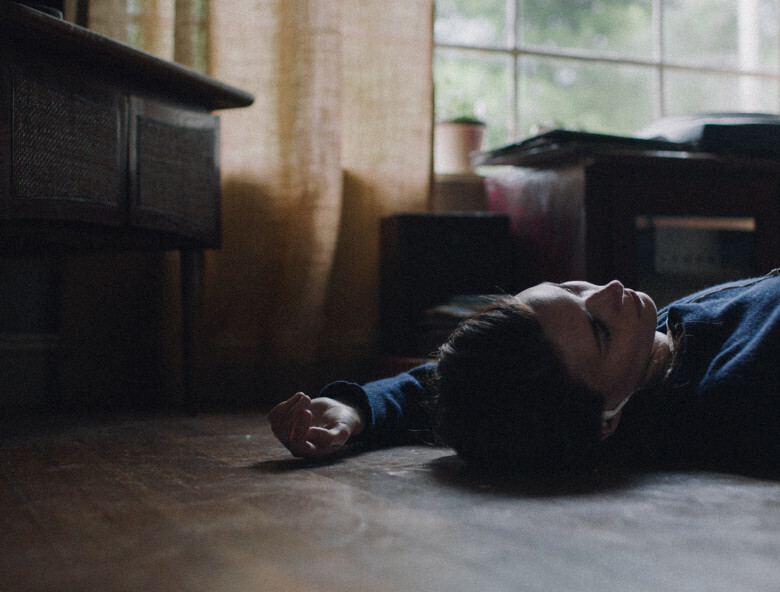 The film cuts back and forth between the flashback and Mara's character listening to the song on the floor in present day. As she listens to the song and reminisces, she reaches out her hand and gets so close to touching the ghost of her dead husband but stops right before she does. There may not have been a more heartbreaking image this year.